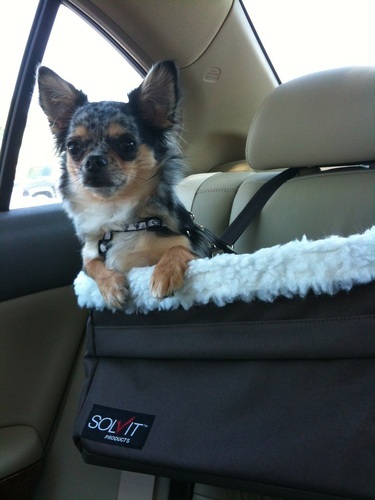 Solvit Medium Tagalong dog car booster seats give tiny dogs a great view out of the car window whilst travelling safely and in comfort and style! 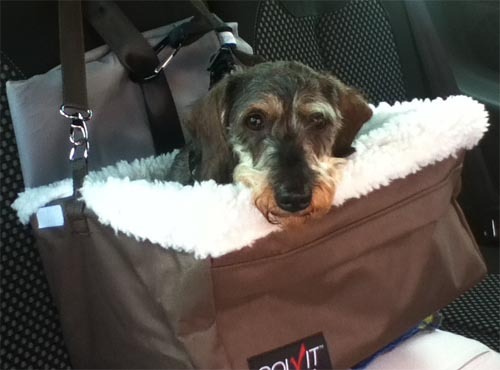 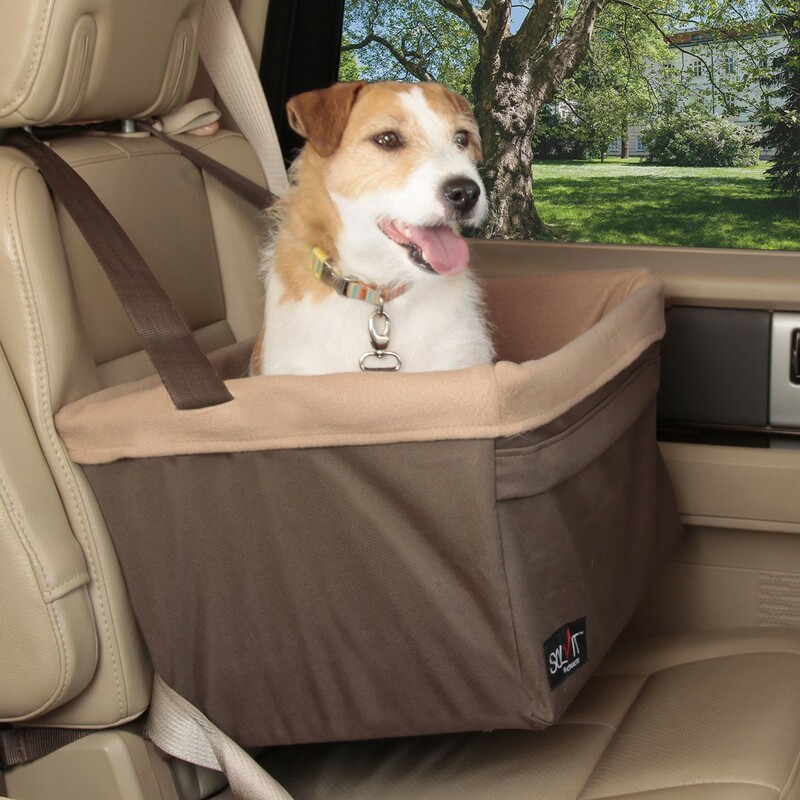 In our opinion this medium size dog car seat is most suitable for tiny/toy breed dogs, although safe for a dog upto 12lbs (5.4kg), we feel a 12lb dog would be better off with the Large size, or even XLarge if your dog likes to bring his toys along in the car, or really stretch out to sleep. 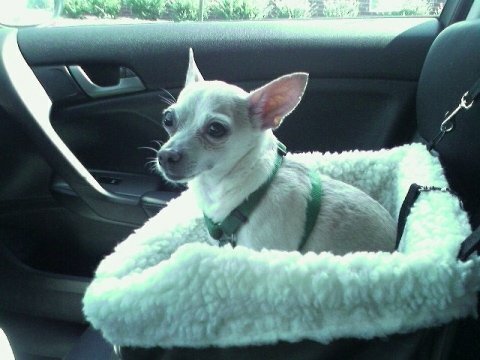 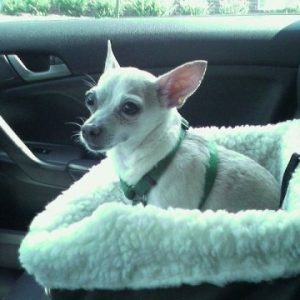 Dog car lookout seats safely elevate your dog to ensure he can safely lookout of the window or settle down for a comfy snooze during car travel. 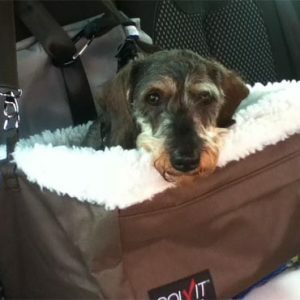 The adjustable height webbing straps fit securely over any vehicle headrest and the straps on the bottom of the dog car seat fix round and attach through your own fitted car seat belt so that the seat remains in place if you have to brake suddenly. 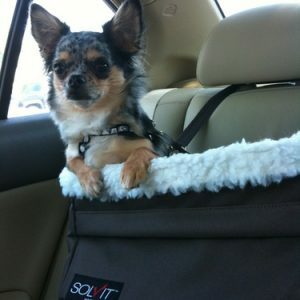 Use along with a harness, simply engage your own seat belt first before fitting the Tagalong car booster seat, have your dog ready in his harness, put your dog into the car seat and attach the seat belt strap which comes with the Solvit dog car booster seat to the back of the harness and that’s your dog and the seat secure – the backseat is the safest place for you to position the car seat.